If you are a designer then you need people to visit and see your designs, because if no one sees your work then it doesn't matter if you are the best in your business.. 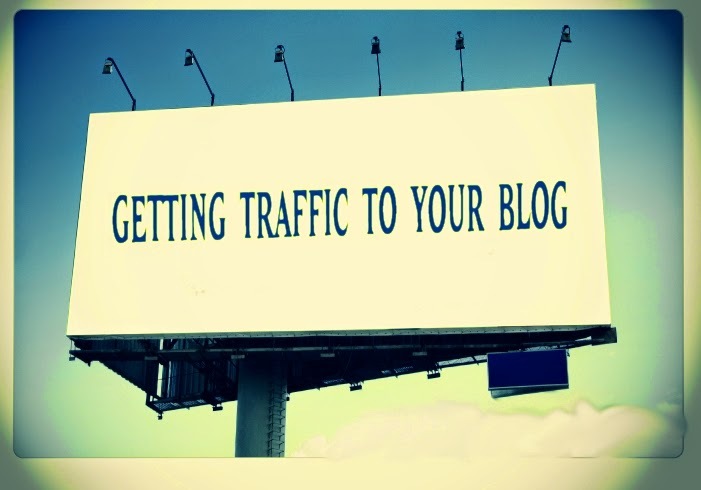 So today I am doing a blog post on how to generate more traffic to your website which in turn can get you more customers. I am going to touch a few different traffic generation strategies, from social media to a website called Fivver. Alright, let's get started. Search engines can be your biggest traffic providers by far, but the problem is that search engines, especially Google, are changing very often. They have a bunch of updates rolling that don't just influence spammers but also legit websites. So my advice would be that don't tailor your work and content too much towards search engine, but make them user friendly. Why? Because if visitors find something useful, they keep coming back to your blog (that is one of the reasons I am writing this post, to give you great content and to get you to come back :)). Make your content user friendly but also sprinkle a bit of on site SEO optimization on your website and with that you will attract search engine visitors as well. Social media is by far the fastest growing traffic source on the web and it doesn't look like that it will stop anytime soon. First off, make profiles on all of the biggest social sites: Facebook, Twitter, Pinterest, Linkedin.. Designers that are looking for work should put some work into Linkedin, I have received quite a few customers through that network. A good source for traffic for designers is also Pinterest. But make sure to tailor your designs to the relevant audience. On Pinterest for example, the majority of visitors are women, so be sure to make your designs tailored for women. If you don't want to mess around with your social profiles, you can always hire a social media agency to do the work for you.. The last tip that I have for you is another website. It is not a well known site, but I find it very useful, it is called ViralContentBuzz.com. This is a community that works on a points system. You share content from other people and get points which you can then in turn use to get your content shared. The best part is that the sites is divided into categories and there is a category called Web Design that I use often. Through this website you will gain Facebook shares, Pinterest pins, tweets and much more. Be sure to check it out as it is turning out to be a nice little traffic source. So these are my 5 tips to get more traffic and customers to your blog or website. If you liked my post, share it on Facebook and spread the word. Also, what are you doing to generate more traffic? Write your traffic tips into the comment section below.